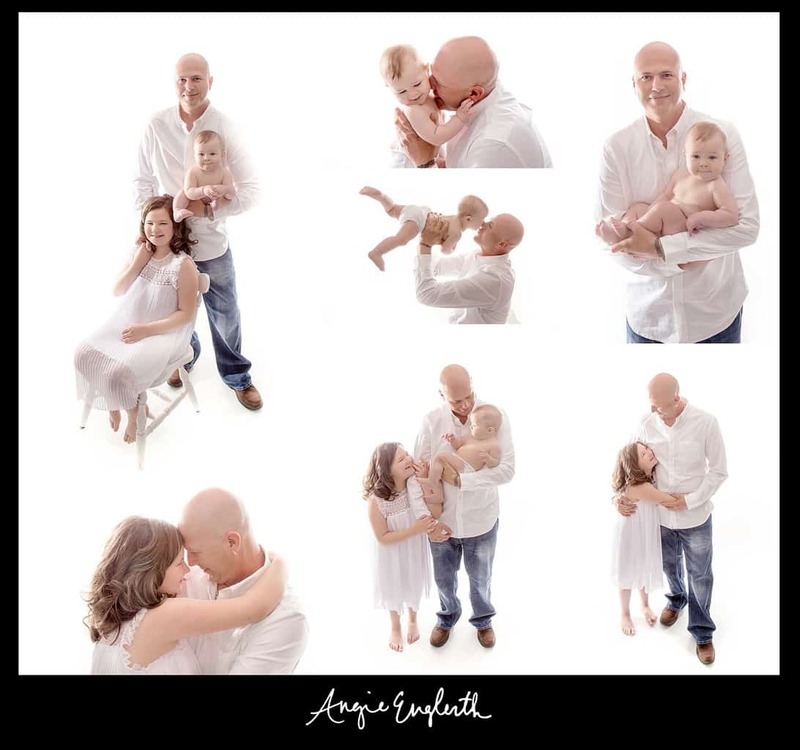 Angie Englerth is an amazingly talented photographer! As a parent she totally understands wanting to capture adorable pictures of your children. However, she is also passionate about capturing the bond between children and their parents, even grandparents! 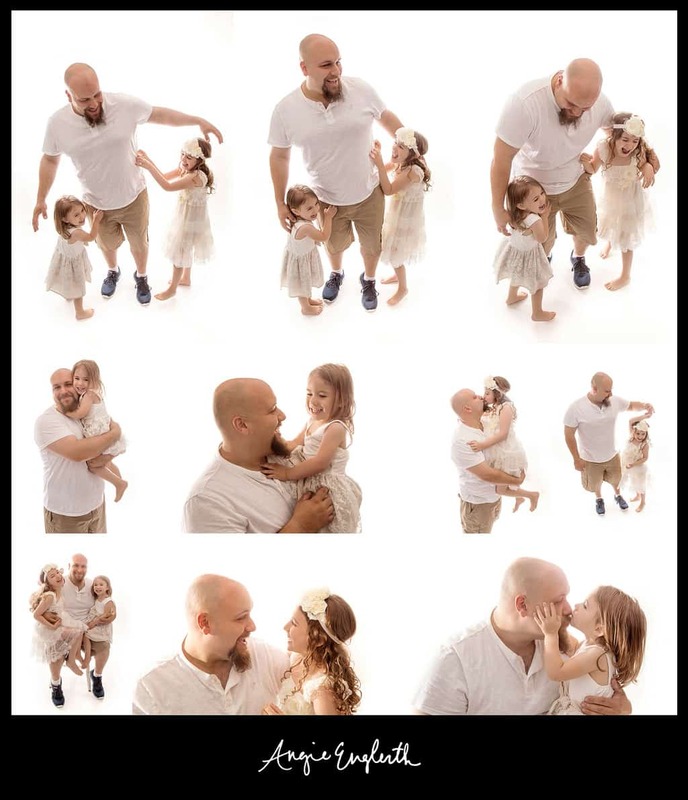 This year Angie tried something new – she offered Mommy & Me and Daddy & Me photo sessions. We gave our readers a sneak peek of the Mommy & Me sessions in our All About Moms collection, and now want to share the Daddy & Me with you too! What was your initial reaction when you saw the ad for the Daddy & Me Event for the first time? Lisa (wife) is going to jump on this and I’m okay with that. What expectations did you have for the day of the event? What were your concerns? Tried to not make expectations and wanted to trust the professionals that they know what to do :). Concerns were making sure I stayed light hearted and playful so my daughter would glow and not feel pressured to focus on the camera. What did this event mean to you? It was nice to be acknowledged as a father with my daughter. So many times I feel like the father is just a tag along in the family photos. It was nice to be acknowledged as a significant part in my child’s life. 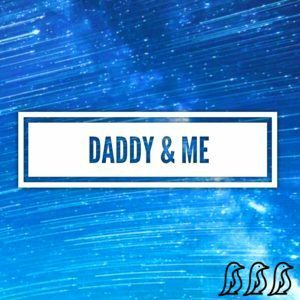 What was your initial reaction when you saw the ad for the Daddy &Me Event for the first time? Excited to get my girls dressed up for pictures. What expectations did you have for the day of the event? What were your concerns? I expected some trouble, especially with my youngest. But things actually went very smooth and quick. What was your initial reaction to your images? The images came out great. It was awesome to see my girls having pure, innocent fun. What did this event mean to you? It was a great time with my girls. What would you say to someone contemplating booking a spot at the next event? Don’t hesitate. It’s well worth it. Happy Father’s Day to each of these dad’s, and to all of the other dad’s out there! You are each very special! I am Angie, a wife and mama to two sweet little boys! 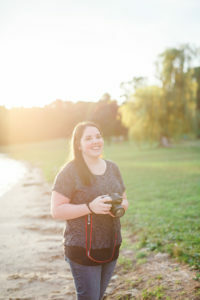 I’m a portrait photographer in Lancaster county capturing the journey to and through motherhood. I believe that women look the most gorgeous when pregnant and I want them to feel the same way about themselves. My goal for each maternity session is for mamas to realize just how beautiful they are. I also enjoy capturing little ones while they are still little. All the details of newborns, from the tiny toes to the milk bumps on their nose, are my absolute favorite!